Raihannil Jannah, a student of batch 2016 became the first winner of essay writing category of Debate and Writing Competition 2018. The competition was organized by English Department Student Association of Yogyakarta State University (UNY). Senior high school and college students around Java could participate in this competition. 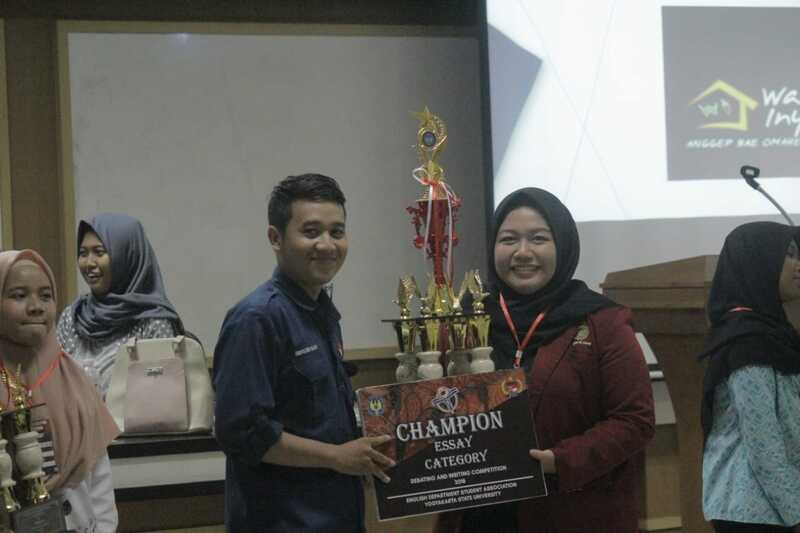 The final round of the essay writing competition was held on 9 th September 2018 at Yogyakarta State University (UNY). The main theme of the competition is “Understanding Multiculturalism through Young Generation Way of Learning Differences”. There are 24 teams and 9 writing text passed to the final round.